March 7, 2019 from 6:30 to 8:00 pm. Free Evening Event with Brian Housand, PhD. January 10, 2019 from 6:30 to 8:00 pm. November 1, 2018 from 6:30 to 8:00 pm. October 30, 2018 from 6:30 to 8:00 pm. September 13, 2018 from 6:30 to 8:00 pm. Understanding ADHD: What you thought you knew, but didn’t! April 4, 2018 from 6:30 to 8:00 pm. January 31, 2018 from 6:30 to 8:00 pm. November 8, 2017 from 6:30 to 8:00 pm. 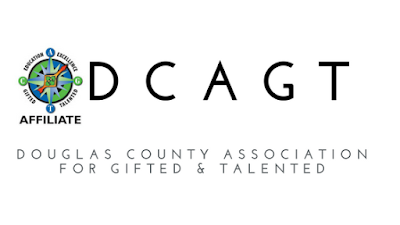 Theme: "Heart of the Rockies: Elevating the Gifted Connection"
CAGT is proud of this year's theme - Heart of the Rockies: Elevating the Gifted Connection which provides opportunities to explore all aspects that make each and every gifted child unique. We're excited for this year's conference keynote speakers: Susanne Keeley, M.A., CCC-SLP, Jonathan Plucker, Ph.D., Matthew McBee, Ph.D., AnneMarie Rossi and Xiuhtezcatl Roske-Martinez. Learn more and register by clicking on the links below! Parent Institute Information and Registration click here! RSVP to kristi@mackintoshacademy.com if you would like to attend. September 13, 2017 from 6:30 to 8:00 pm. We are looking for leadership & committee members. Please fill out our volunteer interest form. Literacy . . . and more! ~ Get answers to “what’s next?” for your child or “what can I do” to help your child be successful in school and in the community. CAGT's Legislative Day at the Capitol is a solid, grassroots effort to get our gifted students in front of the people who are making policy about their education. We want legislators to remember the GT students who shadowed them, the questions they asked, and the concerns they had. We want them to recognize what these students are capable of bringing to the world. Description: For girls 9-13 and their parents, this FREE event will offer hands-on workshops led by scientists, and a panel to discuss how we can empower girls to maintain and grow their interest in science, design, innovation and exploration. Description: DCAGT will have a table; come and say hello! Time: 7 - 8 pm ONLINE. RSVP: Email kristi@mackintoshacademy.com to RSVP and get login information. Description: Join Sharon Barnes, MSSW, LCSW, therapist for the gifted and sensitive, for an informative webinar on the 12 steps to emotional resilience that help sensitive, gifted kids become social-emotional ACES, that is, skilled experts -- in the social-emotional realm. These steps specifically build internal skills that address the issues identified in the acronym ACES: Asynchrony, social skills, Emotional Resilience and Self-Esteem. RSVP: RSVP not required. Contact beth@mackintoshacademy.com or call (303) 794-6222 to RSVP. Description: We welcome all families to come tour the Mackintosh campus to observe classes and meet our warm and welcoming community. Learn more about what our school has to offer for your gifted and creative child — whole-child focused, inquiry-based IB programming, art and P.E. daily, Spanish, greenhouse science lab, and more! Description: Come enjoy the Mackintosh experience and participate in teacher-guided inquiry. Find out why Mackintosh truly offers the whole apple, preparing children for a world yet to be imagined. Tour our award-winning school and meet parent, teacher and student ambassadors to learn more about our IB programming for gifted and creative learners. 2. How to best complete your child’s ALP/ Advanced Learning Plan. This program is co-sponsored with the DCSD GT office & the Parent University. What is the Twice Exceptional / 2E Student and Why Does it Matter? Please join us on Thursday, March 3rd at Panera Restaurant, Lone Tree from 6:00 - 8:00 pm. The Personalized Learning Resource Fair: Resources from the community for Special Education, Gifted and Talented and Twice Exceptional Learners and their families. Most Thursdays in January & March. Most Tuesdays in February.